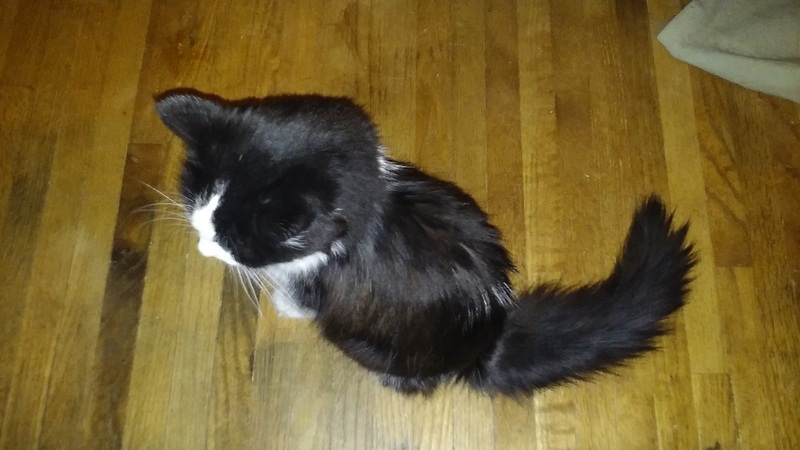 I thought I was going to lose Liberty, my 17 year old cat, this past week. She stopped eating and drinking and dropped her weight which wasn’t that much to begin with. She normally weighs 6 pounds. I took her to my veterinarian, Dr. Jack Miller on Tuesday (July 10th). They did blood work and examined her, but everything came back normal. They treated her with a bolus of fluid and gave her a couple shots to increase her appetite and decrease any inflammation. After that, she acted like her normal self and still seemed able to remain active, but she still wouldn’t eat or even drink water. I was feeling desperate. I took her back to the vet the next two days and each time they gave her fluids and medicine. She was beginning to look rough, uninterested in most activities, and just wanted to be held day and night. I know I couldn’t take her to the vet every single day of her life to get fluids and there was no way she could get any real nutrition. On Friday I began to think about whether or not I should put her down if she didn’t improve over the weekend. The thought of losing her sucked out all my joy. I couldn’t even sleep or rest for thinking about what might happen next. I wrote prayers for her and lit a candle, hoping for anything that would bring her back from the brink. And then something DID happen. 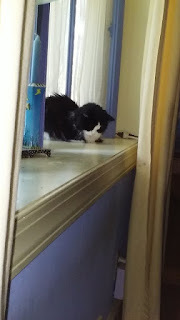 On Friday, she followed me into the bedroom while I made my bed and, while I was straightening the bed clothes, she started pawing at something under the dresser. Liberty had found one of Lily’s old dog kibbles…and then she ate it. I couldn’t believe it. 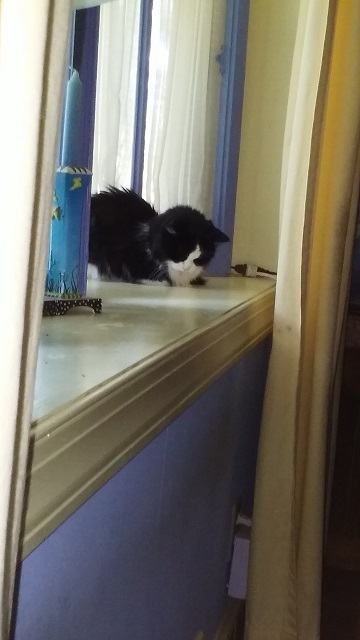 I had been trying to get her to eat wet food believing it would be easier on her to start on something semi-liquid, but being Liberty, she decided she wanted a dried out old gross kibble that may have been under that dresser for quite some time. I was amazed, but not reassured yet. A few minutes later, she went to her dish and ate her dry cat food ignoring the special high powered canned food the vet gave me. Then she went back for seconds and then she went to the water bowel and drank, and drank, and drank. I called the vet and his trusty animal nurse, Stacy, told me to just keep an eye on Liberty to see how she would do and that they would be open half a day on Saturday if anything went wrong. Here it is, Sunday and now Liberty is eating her food including her favorite canned food of chicken and tuna (gross in my book) and acting completely normal. Crisis diverted. I know that I’m not going to have Liberty forever, but the very idea of her starving herself to death when there was nothing apparently wrong with her was very upsetting to me. I may never know what happened (Can cats get the stomach flu? ), but I am so very grateful for the excellent care the vet and his staff gave to Liberty and the kindness and generosity they showed me during this whole ordeal. And now I get to have more time with Liberty and enjoy her antics. It’s such a relief!